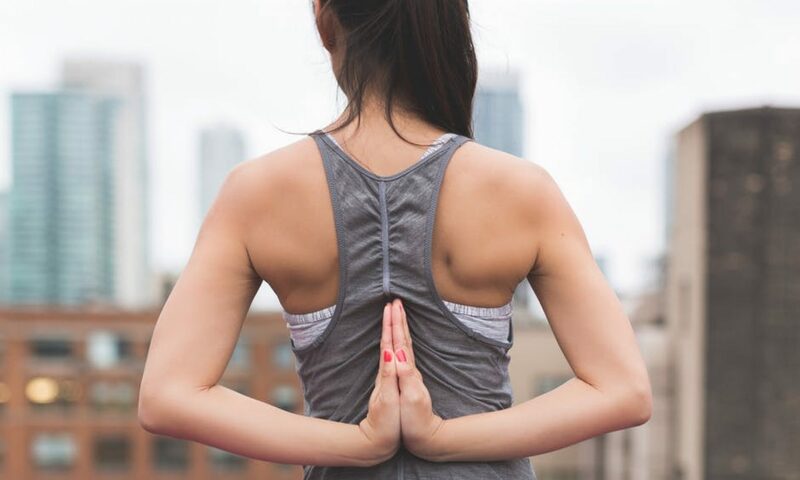 When it comes to losing weight, there are so many little things you can do to help you be successful. When your environment is conducive to your goals, you’re so much more likely to achieve them. 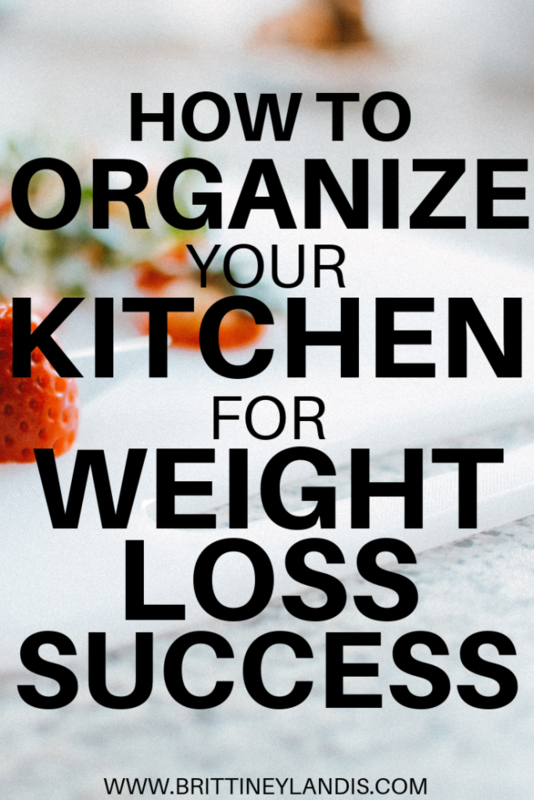 Here are 7 ways you can organize your kitchen for weight loss success. Prep fruits and vegetables as soon as you get home from the grocery store. 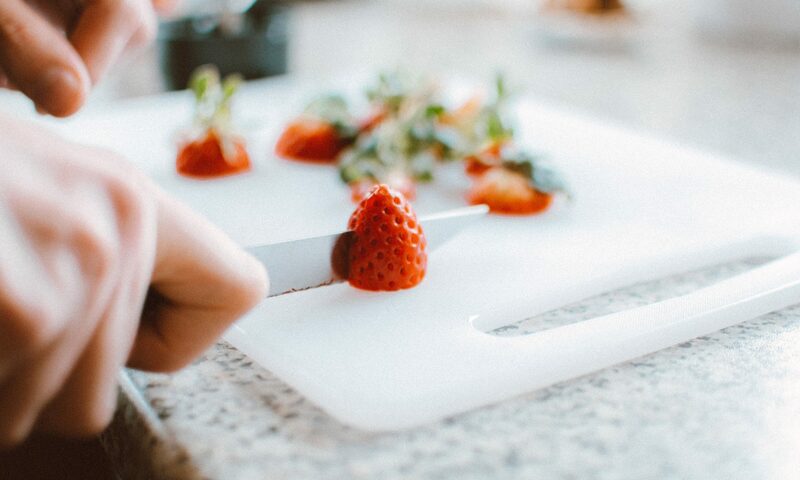 Clean, cut, and portion your fruits and veggies into single serving containers. You’re much more likely to eat these healthy snacks if they’re easy to consume. These glass Pyrex containers are pretty and perfect for portioning. A simple rule of thumb when it comes to drinking water is that you should consume half your body weight in ounces every day. I aim for a gallon each day. The easiest way I can remember to drink my water is by filling up a gallon jug (like this one) and keeping it in the fridge. That way, it’s always cold and ready to go and I know how much I have left to drink at any given time. When you’re trying to lose weight one easy way to cut calories is by not consuming soda and sugary drinks. Most people are shocked by the sugar content and number of calories that are in drinks. Stick to water and shed the pounds. Healthy food doesn’t have to bland or boring. Keep lots of spices on hand and use them as a calorie free way to add flavor to your food. Fail to plan, plan to fail. Plan your meals for the week and keep the meal plan visible in your kitchen. A chalkboard or dry erase board is a great way to write your weekly plan and have it on display for the whole family to see. I especially love this days of the week chalkboard for a cute way to spruce up your kitchen. If you’re interested in other simple tips and tricks for losing weight, join my free Facebook community, Wellness and Weight Loss. I share recipes, workouts, and host monthly challenges that will help you reach your goals. When you join, feel free to share a little bit about who you are and what you hope to achieve! I hope to see you there.